Hurry, hurry, hurry over to FaMESHed’s 6th Anniversary round! Why you ask? Easy there are over 60 fantastic free gifts set out, only two days left to attend this celebratory round, and for those of you with Lindens to burn some absolutely fabulous original content to buy. Unfortunately, with over 60 gifts there is no way we could blog them all at this late date and get you to the event before it ends. Just know there is something for everyone: clothing, decor items, hair, jewelry, and SHOES! The Forge’s FaMESHed gift is this fabulous Jessica Ombre dress. Thank you The Forge, we love it! No, that’s not a speck of dirt on your screen, Iona is sporting a new mole thanks to the Session Skins’ gift at eBento. 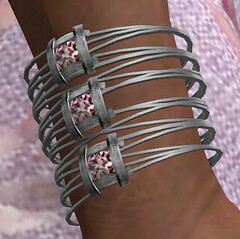 This mole set offers the choice of one, three, or five moles in appliers for Lelutka and Catwa heads. Today’s hair if great gift from Clawtooth. Glamazon is boxed as the complete collection and is free for all visitors to the store – no group join required. That said, joining the group is free, and if done will net you three more hairstyles. Not bad for a quick teleport. 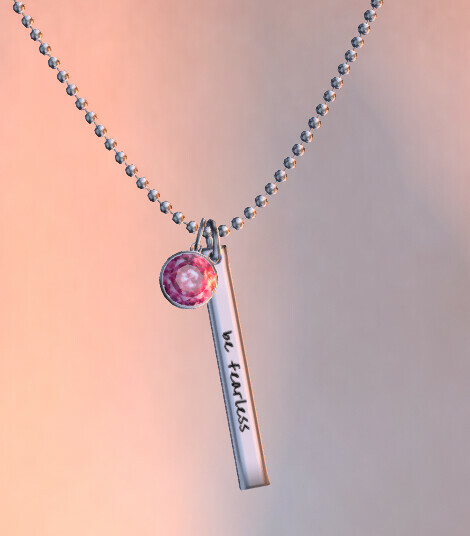 The Mantra necklace is Cae’s gift at FaMESHed. To finish off today’s post we have a great sandal/boot from Legendaire. Legendaire recently revamped and consolidated their groups system which means past members need to get over and rejoin the new V.I.P. group. To compensate shoppers for the inconvenience the group join fee has been set to 0L temporarily. If you’re not a member, this is one group that is definitely worth joining.